Dorothy* came to live with us after what seemed like a long research process. 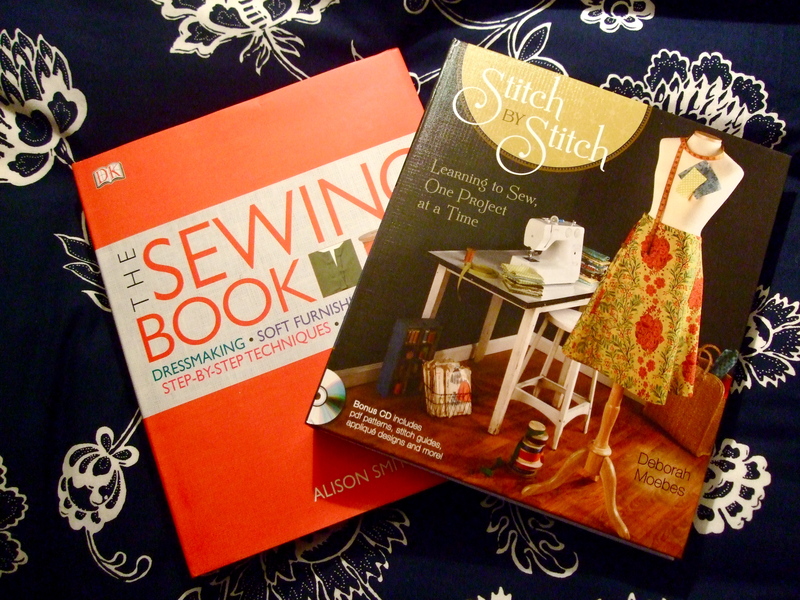 Honestly, I researched more for a sewing machine than I did when buying my first newish car. I read reviews in sewing forums (BurdaStyle and PatternReview were my favorites) and finally decided on a make I was familiar with (having learned on it at The Make Lounge) and a model that will work in the US (you know, for when we eventually move back). I’m very happy about the purchase and am looking forward to so many days together. She even came with a bunch of goodies! Always the bargain hunter I made sure to buy her at a reasonable price, with free delivery and with some extras on the side. I gotta have my sumthin sumthin to make a purchase all the more sweeter. 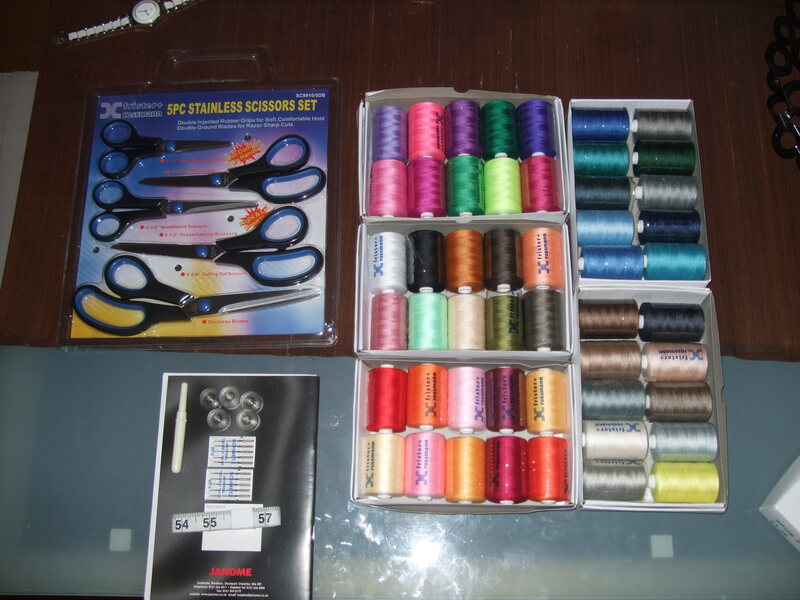 The goodies consist of a bunch of threads, scissors, needles, bobbins, a seam ripper, measuring tape and more. A nice starter kit, I have to admit. I am currently on the hunt for a cute and affordable container to organize everything. Ideas welcomed! I managed to add a concealed zipper! I was CONVINCED I was going to eff up the whole skirt when it came to this part but I didn’t. Phew. And my stitches on the outer and inner layers were straight. Straight! I officially fell in love with sewing once I was done with the skirt. And that’s when I started searching for a sewing machine. I started looking at things with different eyes: “I can make that” to “I’d love to try and make that.” While in NYC I ordered some fabrics (buying in dollars often always wins!). They have all been laundered to prevent future shrinkage and are ready to be used. But what to make? There are so many choices. 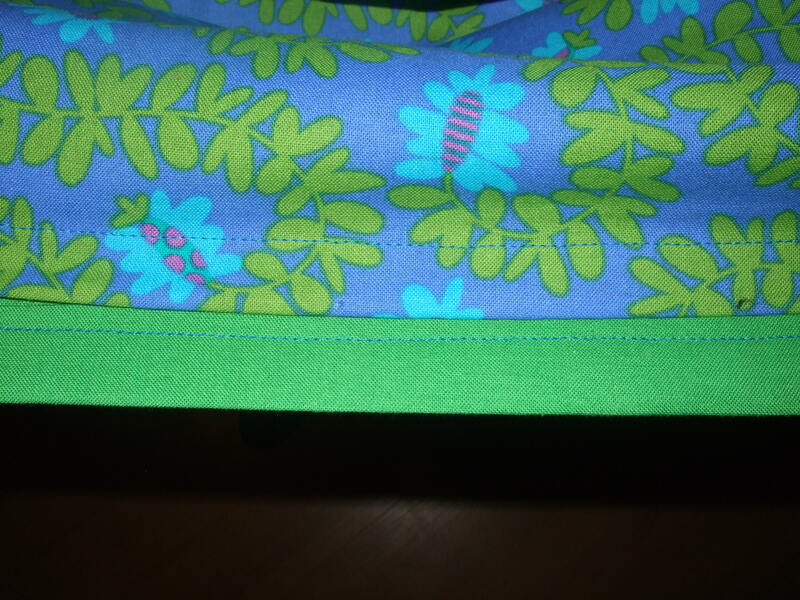 Of course I have to start small for now: napkins, placemats, aprons, tote bags…a dress for my niece! But eventually I want to make myself a beautiful dress with the most amazing vintage fabric. *SIGH* One day. I will be patient and continue to learn, teach myself and take classes here and there. Luckily I got a few companions to help me along the way. Looking forward to making another type of A-line skirt featured in one of the books. I love A-line skirts. Love. Spring, if you can hear me, can you please make an appearance sooner rather than later? I’m so over winter wear. So I leave you with the first project I completed with Dorothy, aka Dot*. 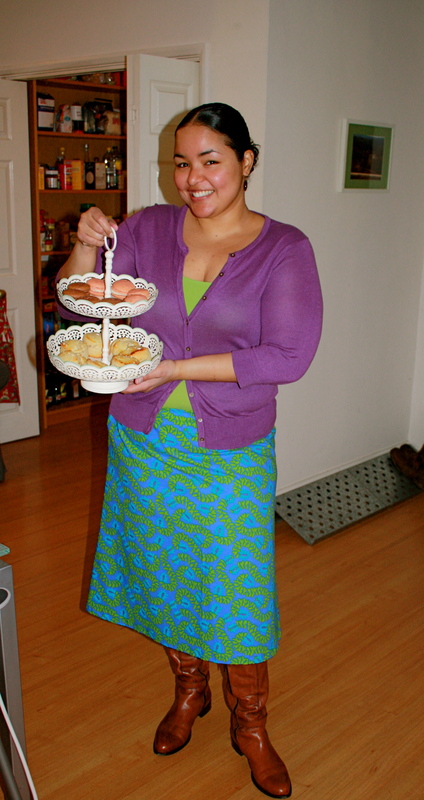 I made it with leftover fabric from the A-line skirt. Savvy. And thrifty…always. *I have a longstanding habit of naming inanimate objects. There was Cedric the boombox, Hadrian the 1992 Mac desktop, Harry the first car, William the second car, Foxy Brown the mixer…you get the idea. **Dorothy is named after all the Dots she will make and after my FAVORITE Golden Girl, Dorothy Zbornak. 01 Mar	This entry was published on 01/03/2011 at 6:30 PM. It’s filed under Creating, London, Sewing and tagged BurdaStyle, Dorothy, fabric, hobby, sew, sewing, skirt. Bookmark the permalink. Follow any comments here with the RSS feed for this post. Hooray for making cute stuff! Cute skirt! I too name inanimate objects. My car is Ursula, and my first potted plant when I went to college was Todd, ha. Love the skirt! Very nice! 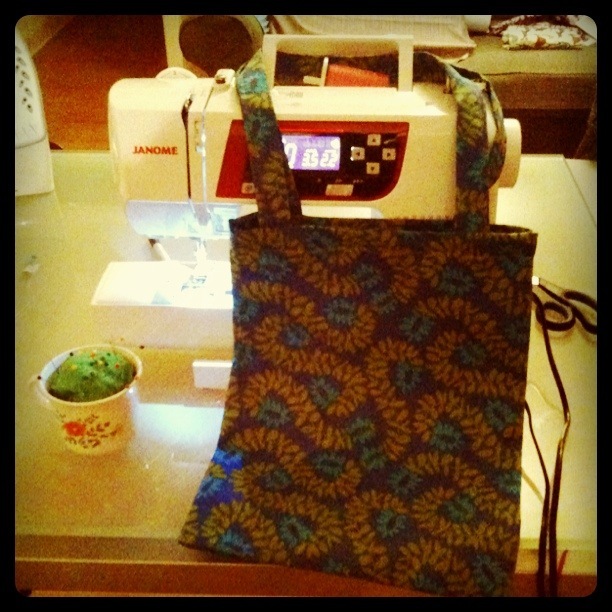 I wish I could sew. My mom was a master seamstress, but I evidently did not get that gene. Fun! 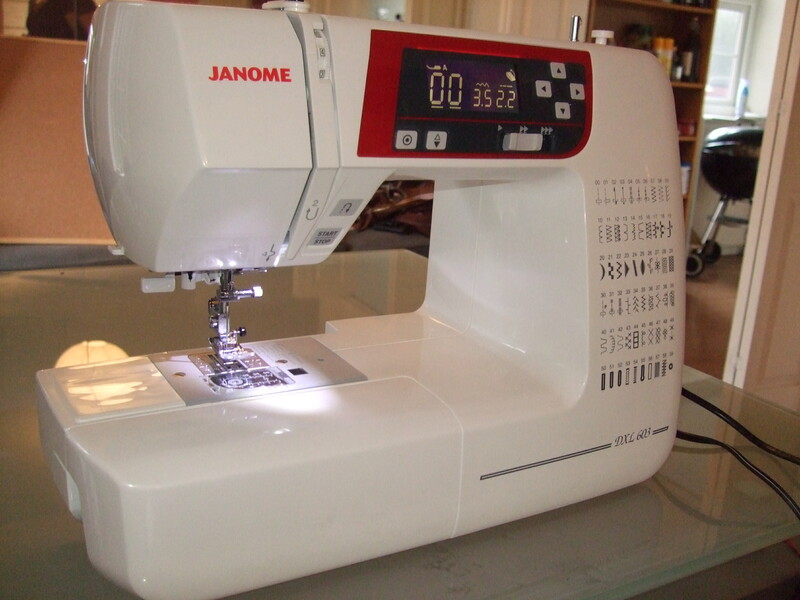 The first and only time I used a sewing machine was in grade 7 or 8 in family studies. 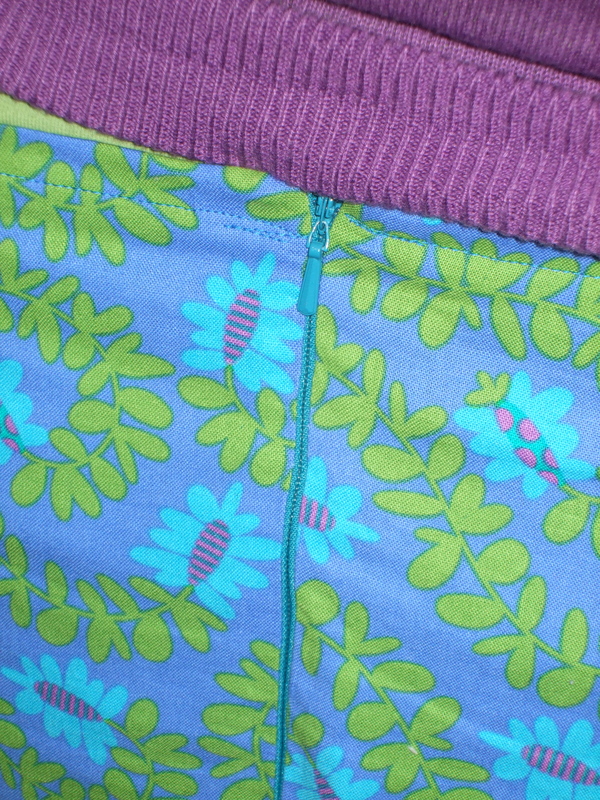 I made boxer shorts, and an apron. I love the idea of making my own clothes but photography occupies my hobbies for now. Some day. The fabrics you purchased look great. My ipod has a name, I’m inconsistent with the object naming thing overall though. Photography is such a great hobby to have! I wish I had the patience and brains to learn more about it. 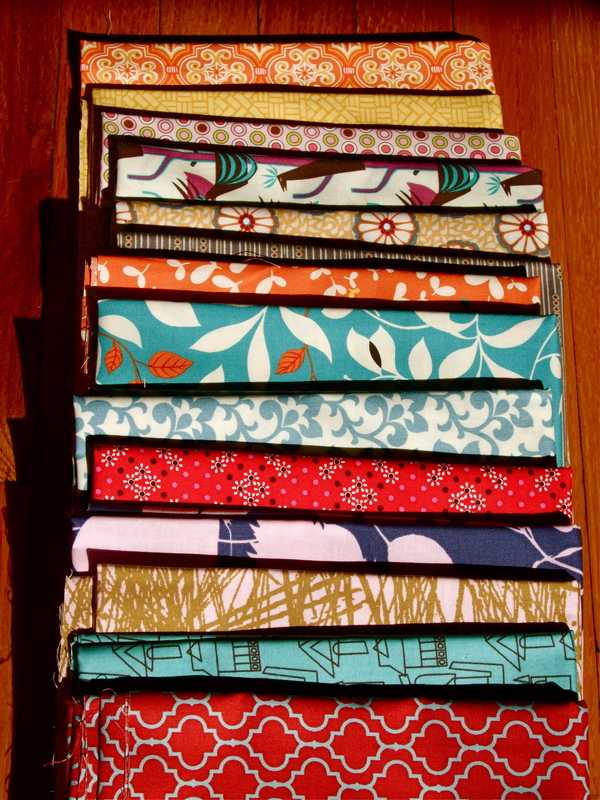 Love all the fabric you picked up. I was looking at my (almost done) laundry room and thinking how a valance or some curtains would help the ‘fun factor’ of that room, so I guess I’ll be breaking out the Brother soon for that and the Marshmallow sofa project. Heh, from now on I will say: “Breakin’ out tha brotha’!” Cause it’s fun. lovely! Mine is named Kenny so I get the whole naming thing! Sure! That sounds like a plan.